T Red Bikes from Garda, Italy is a design firm that uses a lot of tech to design custom bikes. The company has a background in design and architecture and only a few years ago applied that knowledge to bicycles. Now, bicycles are the primary focus of the company led by lead designer Romolo Stanco. T Red bikes are mostly custom, with the company applying laser body mapping software to begin the bike design process. If you are not close to the factory in Garda or one of the other two stores in Italy (Province of Lucca and Rome), the company can figure out your measurements via email and phone. T Red has several models that the buyer can choose from to customize, or buyers can order something completely different if they want to. T Red fabricates its bikes with titanium, steel, aluminum or carbon for any model, although Stanco said certain materials will be recommended for specific applications of each model. For example, Scandium alloy aluminum is a recommendation for the cyclocross race bike for maximum performance. 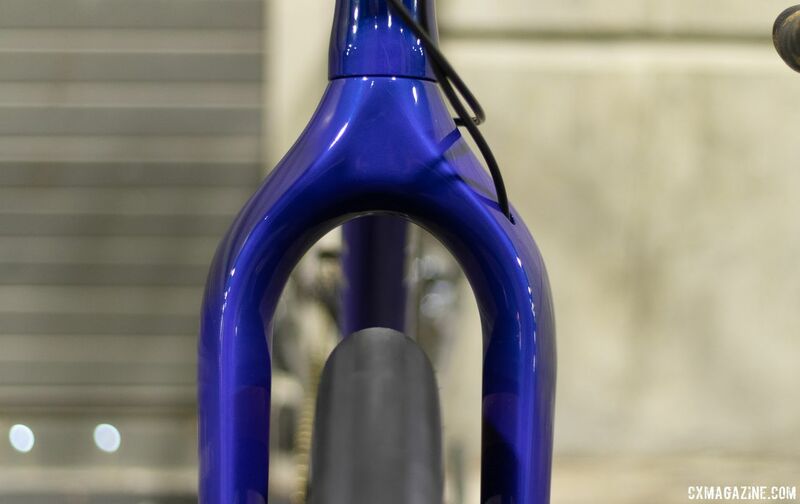 Stanco likes titanium or steel for gravel bikes. However, in the end it is up to the buyer. 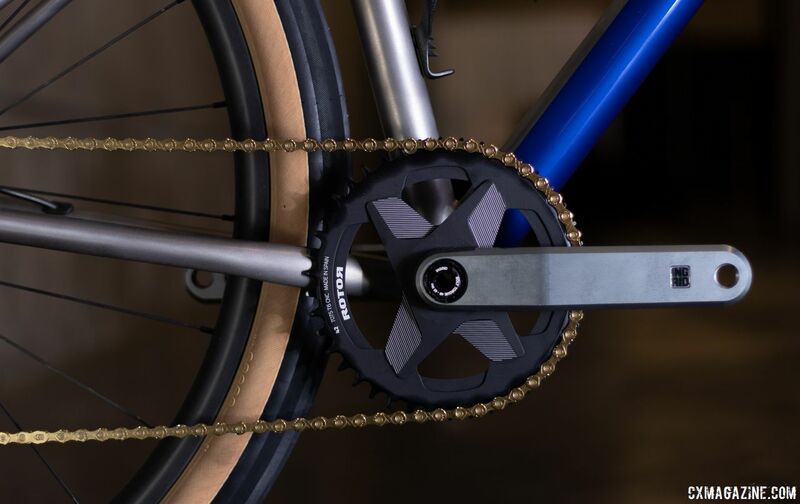 TRed’s goal is for the cyclist to have the best bike of his or her dreams. 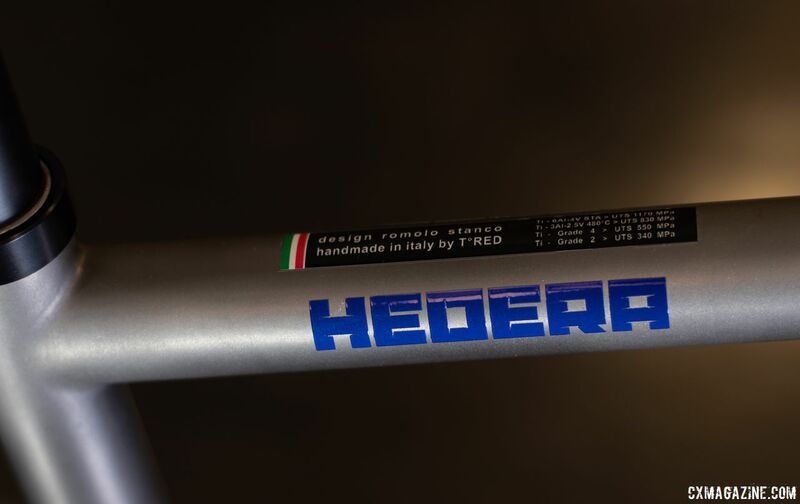 The bikes are entirely built by hand in Italy with frame materials also manufactured in Italy whether it be scandium aluminum, titanium or carbon-fiber tubing. Delivery time is presently eight weeks from the order date. The price will vary amongst models based on material and features. 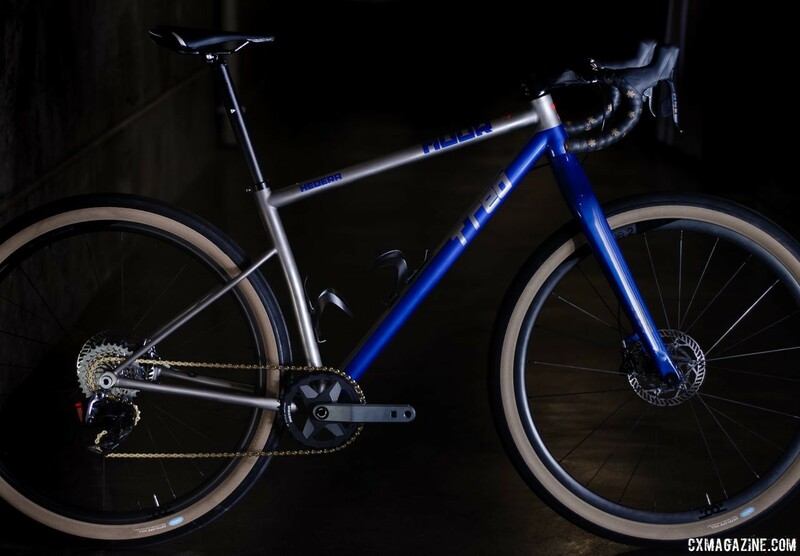 A bike T Red brought to NAHBS 2019 that caught our eye is a titanium monster cross / gravel bike called the Muur. We stopped by the T Red booth at NAHBS for a closer look at the monster crosser. T Red builds the Muur using different grades of titanium for different tubes based on the stresses each tube receives and the ride quality they offer. The main tubes use grade 9 Ti, which is a 3Al/2.5V alloy common to titanium bikes. 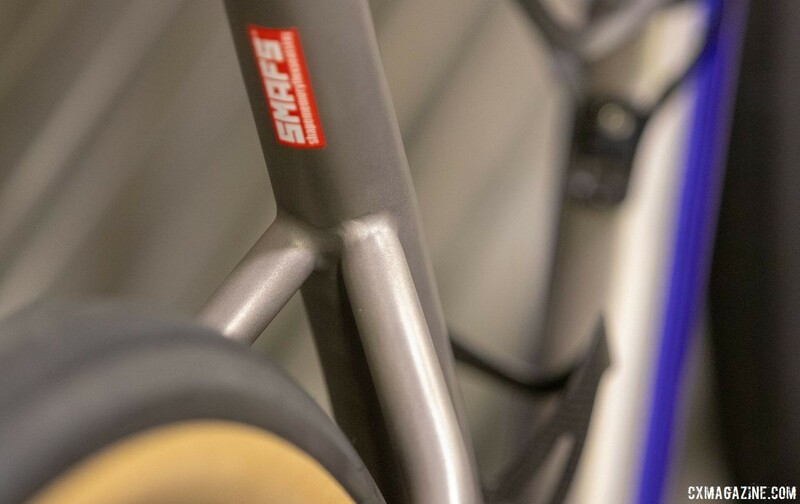 The seatstays use grade 2, a commercially pure titanium that has ductility to add some compliance to the rear end. Within the seatstays is a nickel-titanium insert (a patented design) that tunes the flexibility and damping qualities of the grade 2 titanium stays, affecting the ride compliance. The Muur geometry is similar to other bikes of its kind, and the bike has a fork with 495mm of axle-to-crown distance. With the T47 bottom bracket, 43cm stays allow 700c wheels with 55mm-wide Compass Antelope Valley tires to clear. T Red built its display Muur as a top-of-the-line build, with a 42t Rotor chain ring mounted to an Ingrid crankset in the front and the new SRAM 1x RED 1 eTAP AXS electronic derailleur in the back. The bike on display at NAHBS costs 11,000€, which includes an upcharge for the 1x RED 1 eTAP AXS groupset. Otherwise you’re looking at 9,500€ for a complete bike or 3600€ for the frameset. For a closer look at the Muur, see the gallery below.